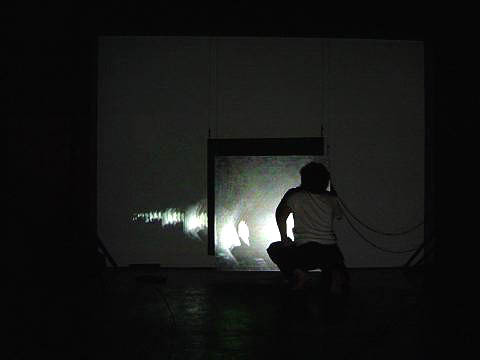 feedback is a performance with a metal plate and 2 laptops for audio video realtime processing. 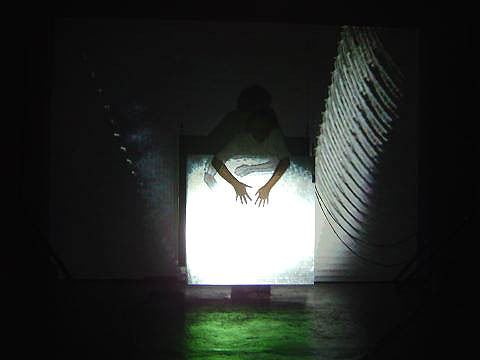 The plate of steel (1 square meter) is hanging from the ceiling, the performer is standing behind it and plays the plate with her hands. A contact microphone is attached to the plate to grab its sound and send it to a laptop running a max/msp patch for realtime processing. A camera in front is observing the situation. 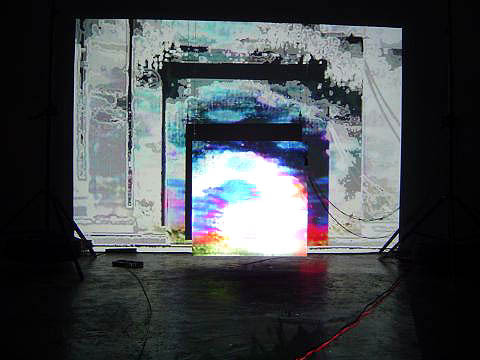 The video is sent to a second laptop running a max/softVNS patch for the video processing. 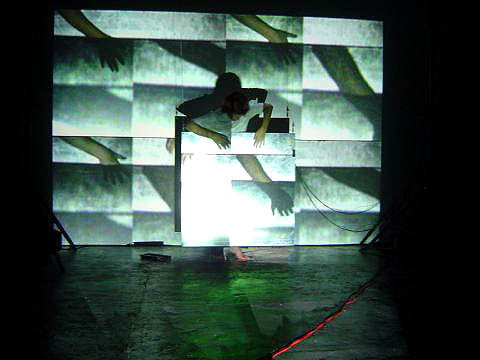 The resulting visuals are projected back onto the plate, the performer and the wall behind. 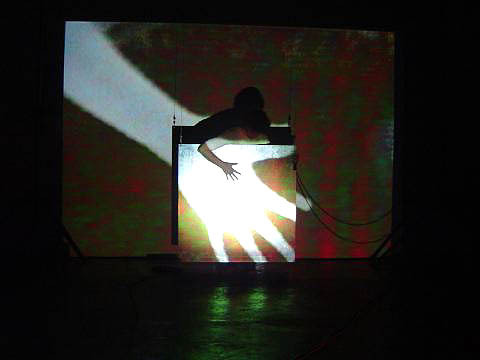 The plate is equipped with 4 sensors to control different parameters of the software: there are 2 pressure sensors attached to it to play with fingers, and 2 copper sheets on the floor where the performer can stand with her bare feet on. Each copper sheet is forming an electric circuit together with the hanging plate. So we get two touch sentitive sensors. 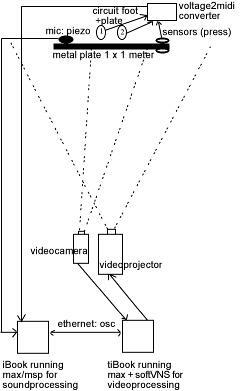 The camera and the projector are forming a video feedback system. As the projector is the only lighting of the situation it is dark in the beginning. The video software is scanning the images coming from the cam to find some low light reflection from the projector on the plate. From now on the performance developes.